Alivenow Official Blog - Case studies, examples and more. AliveNow creates unique Facebook AR blink experience for Mahindra XUV300. AliveNow, a leading creative tech company and an official Facebook Spark AR partner has launched a unique Facebook Augmented Reality experience for the promotion of Mahindra’s XUV300 SUV. With just the BLINK of their eyes, users can change the colour of the XUV300 and discover the amazing colour variants that Mahindra is offering for this SUV. Singapore Cable Car launches nostalgic Facebook AR experience to celebrate 45th anniversary. To celebrate the 45th Anniversary of Singapore Cable Car - the most breathtaking way to get into and around Sentosa - One Faber Group has partnered Carbon Interactive and creative technology company AliveNow to create a fun and interactive Facebook AR Camera Filter that takes a user down memory lane. 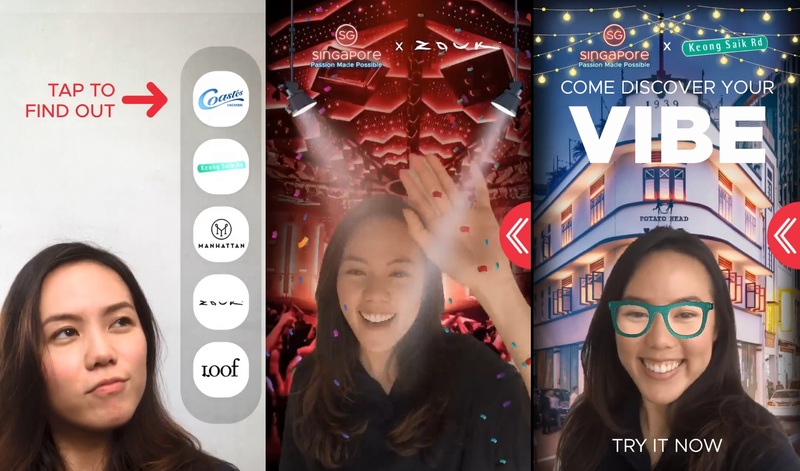 AliveNow creates Singapore Tourism’s Facebook AR experience that teleports you to city’s top party spots. 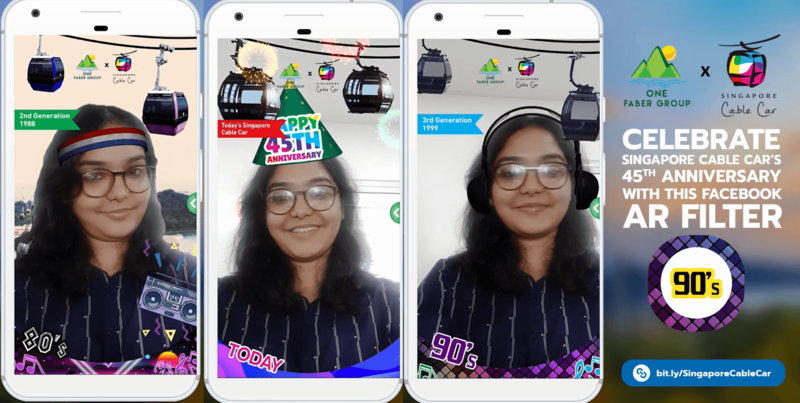 AliveNow creates an AR Camera Filter for Facebook & Priyanka Chopra’s Live-Athon. 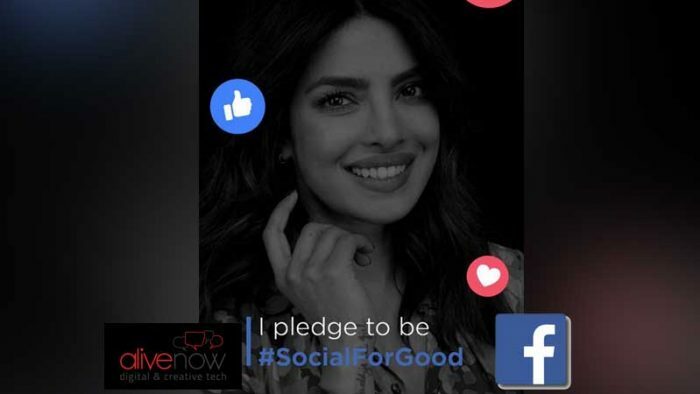 Creative tech agency, Alivenow developed a Facebook AR Camera Filter for Facebook’s special #SocialForGood Live-Athon event with Priyanka Chopra. India’s first Facebook Live-Athon had celebrity guests like Janhvi Kapoor, Ishaan Khatter, Imtiaz Ali, Soundarya Rajnikanth, Ayushmann Khurrana and many more join Priyanka Chopra as they discussed important topics like mental health, cyberbullying and women entrepreneurship. 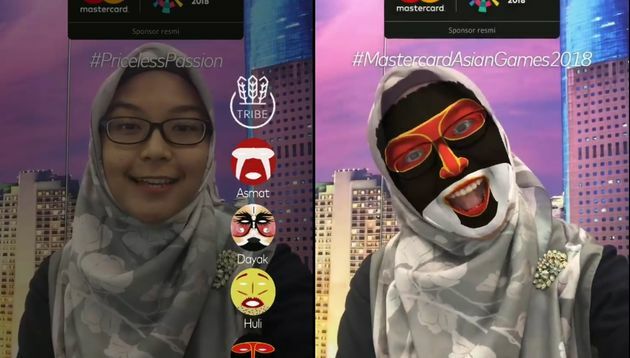 Mastercard taps on Asian Games fever, debuts Facebook AR camera filter. Mastercard has partnered with Octagon and creative-tech company AliveNow to roll out a Facebook augmented reality (AR) camera experience which taps on the ongoing 2018 Asian Games. India’s first Facebook AR Camera Effects Game by alivenow for Big Bazaar. Future Group’s Big Bazaar has launched India’s first Facebook Augmented Reality Camera Game built by Bangalore-based digital and creative tech agency alivenow. Consumed in the Facebook Camera on the Facebook mobile app, there are no clicks, swipes or scrolls, the game is played by literally bouncing the soccer ball on your head. 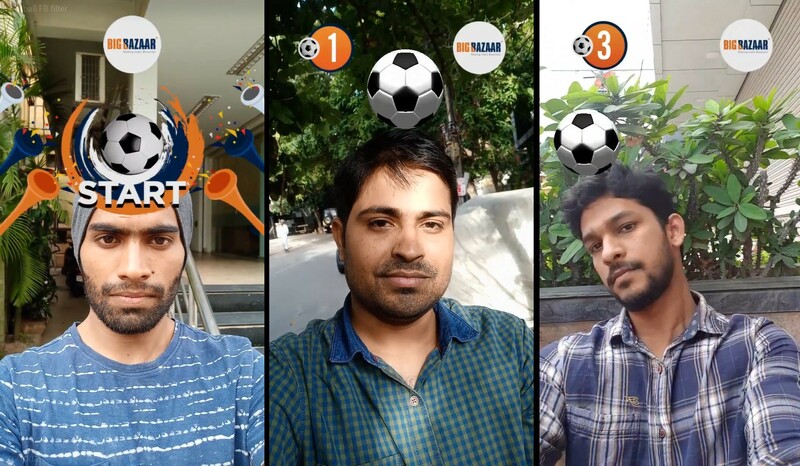 A highly engaging game for the soccer world cup where Big Bazaar is cashing in on the frenzy by integrating this unique digital activation with relevant coupons in the game. Aster DM Healthcare partners with Alivenow to launch a multi-platform initiative to connect the needy with volunteers. 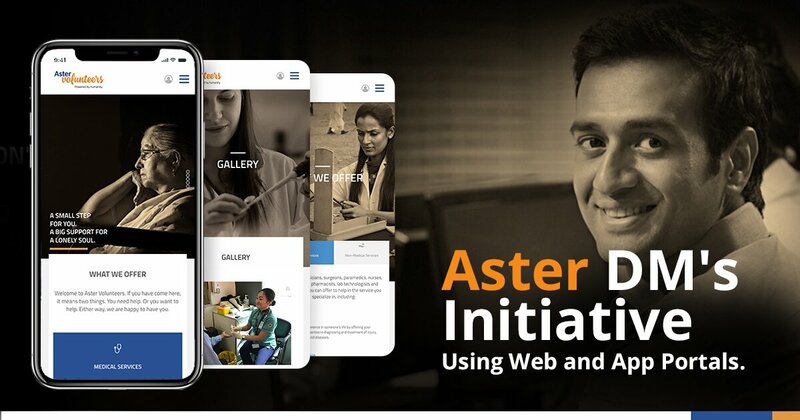 Dubai based healthcare conglomerate, Aster DM Healthcare has launched an initiative through Alivenow to help those in need by building a multi-platform portal spanning from a website to Android and iOS apps. The project was brought to fruition with the help of Dubai-based agency Raaee. The portal functions by connecting anybody in need of free medical help with volunteer medical professionals who are willing to devote some time of their schedules to helping those in need. Unique Facebook Messenger Chatbot for India's Independence Day: Create personalized videos and banners, discover India's 70yr history. 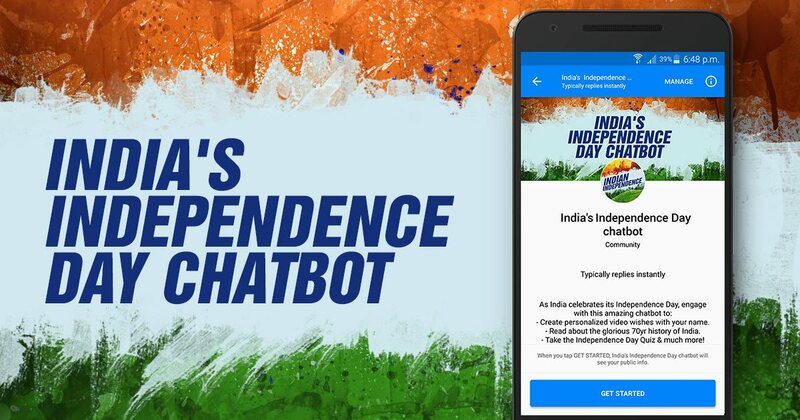 As alivenow continues to strengthen it’s facebook messenger chatbot and AI portfolio, they launched an amazing messenger bot for India’s upcoming Independence Day this August 15th! alivenow is quickly becoming the go to chatbot agency for India and the Middle East with impressive facebook messenger chatbots launched for brands like Mercedes Benz, Pepsi, HSBC, Emirates NBD and most recently for Sony Pictures and Columbia Productions, The Dark Tower movie.